Our whistleblowing definition: A whistleblower is someone who reports illegal, immoral or otherwise questionable behaviour, independently of their current position and without expectations of reward or other personal benefit. In this article we ask the question “what does whistleblower mean?” and “who blows whistles?”, presenting our own whistleblowing definition and exploring what others have to say on the subject. Most people have a clear understanding of what they mean by whistleblowing, but how do others define whistleblowing? At governmental level, the UK government gives a whistleblowing definition in its website devoted to the subject. It says “whistleblowing is when a worker reports suspected wrongdoing at work. Officially this is called ‘making a disclosure in the public interest’”. This offers protection to the whistleblower under the Public Interest Disclosure Act 1998. A major UK trade association, the Chartered Insurance Institute (CII), in a Guidance Paper for its industry members, sets out a whistleblowing definition as “the raising of a concern, either within the workplace or externally, about a danger, risk, malpractice or wrongdoing which affects others”. 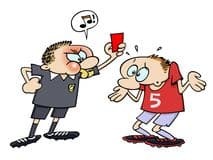 The term “whistleblower” is one of many sporting metaphors in English and comes from the various sports where a referee uses whistle to draw attention to a foul or unsportsmanlike behaviour. It was first coined by US activist Ralph Nader in the 1970s as a more positive word than “informer”. The CII distinguishes whistleblowing from complaining suggesting that “someone making a complaint has a vested interest in the issue they are complaining about, for instance that they have been unfairly treated at work, whereas someone blowing the whistle usually has no direct interest in the dangerous or illegal behaviour they are raising; they are simply trying to alert others to something they feel needs urgent attention”. Wikipedia, in an article it describes as dealing primarily with the United States, provides a whistleblowing definition as “a person who exposes misconduct, alleged dishonest or illegal activity occurring in an organisation”. Meanwhile, the US Dodd-Frank act, in its section on whistleblower protection, states that “The term ‘whistleblower’ means any individual who provides, or 2 or more individuals acting jointly who provide, information relating to a violation of the securities laws to the Commission, in a manner established, by rule or regulation, by the Commission.” This is a very narrow definition designed to provide legal protection in specific situations and there are clearly many situations where behaviour, while not strictly illegal, is questionable on a moral or simply common sense level. After all, as we say in many places on this website, regulators are usually “firefighters” who often don’t understand the practices of the industries they regulate. The banking and resulting financial crisis (which brought about Dodd-Frank) is a classic example. There are many people who could have blown the whistle – or did try – on the schemes which lead to the collapse of the sub-prime mortgage market. Famous whistleblowers such as Wikileaks certainly do not limit their disclosures to actual legal infractions. A US organisation, Ethics Resource Center (ERC), specialising in this field and conducting regular surveys of business ethics, introduces the term “reporter” to refer to employees who bring their concerns to an internal source, and ascribes a whistleblowing definition to a person who would typically go outside the company because they don’t trust the company to handle the issue appropriately. Who is a typical whistleblower? A significant piece of research conducted by ERC in the US found that the general conception of whistleblowers as being disaffected and disloyal employees was not borne out by the research. Only one in six ever chose to report externally and of those only one in six did so without trying to report internally first. The UK government lists the kinds of issues about which it might expect a whistle to be blown. It says “a worker can report things that aren’t right, are illegal or if anyone at work is neglecting their duties”. This would include times when someone’s life was in danger, damage to the environment, a criminal offence, when the company wasn’t obeying the law and covering up wrongdoing. The CII, in its guidance, says that whistleblowing can save lives, jobs, money and reputations and acts as an early warning system for employers. If reported externally it can alert regulatory authorities and the public to dangerous activities, serious risks to the business and malpractice or wrongdoing. It proposes that whistleblowing can be done by employees, managers or even directors, though the last category would suggest that the organisation is seriously out of control. The ERC says that what prompts a person to become a “reporter” is a belief that something is wrong and that they should do something about it, a feeling that they can make a difference, confidence in the security of their own position and a sense that the organisation will be sympathetic to raising ethical issues. Whistleblowers are offered varying degrees of protection around the world and increasing numbers of countries have passed or are considering comprehensive laws (see the Wikipedia article linked to above for details). Whistleblowers are distinct from complainers for their relative independence and lack of vested interest – they do not have any personal grudge to bear or potential benefit to gain. A whistleblower is someone who reports illegal, immoral or otherwise questionable behaviour, independently of their current position and without expectations of reward or other personal benefit.